At the Vancouver Public Library today. I wanted to record my impressions of the event, while it was still fresh in my mind. This is not intended to be a record – there are places for that and it’s not here. I did not run in the last election, but like everyone in the Green Party I was very encouraged by our showing and especially electing the first ever Green MLA. In fact the first Green in any Canadian provincial legislature. There are now also Green Party representatives in parliament and Vancouver City Council. In fact these are all three different but overlapping parties. I have a feeling that the withdrawal of federal funding based on votes cast may well herald a closer relationship between federal and provincial parties. There have also, apparently, been dirty deeds at the municipal level, where some have tried to limit Green influence by joining the municipal party under a false flag. So the first thing I did was sign up for the vangreens. I have also paid my dues to the feds too. 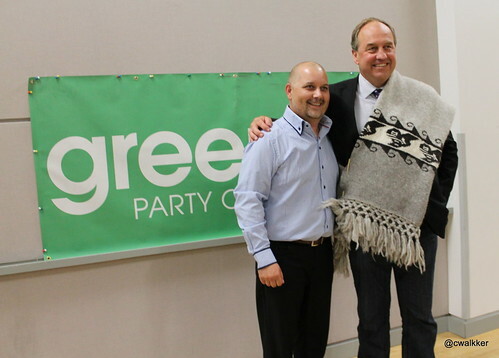 I was not the only one present to note how fast the Green Party of BC is changing. This was my third AGM and the attendance was noticeably different. There were still a lot of old white guys – and they took most of the seats on Provincial Council again. But there are more females, and more visible minorities present now, and an important contribution is being made by First Nations. Jane Sterk has been a transformative leader: when she took over the party was in financial difficulty and risked de-registration. I must say as a new member and candidate I was completely unaware of those issues. A bit like a duck swimming, I could see we were making progress but I could not see the frantic paddling underneath the surface. Her speech was more than the usual acknowledgements (though they were there too). It was a sober and candid review of the last six years, with a clear analysis of why we had been successful in the last election, and what was now needed to do very much better next time. Given the paucity of resources the GPBC has compared to the two major parties, her achievement has been significant. But a tribute to her wisdom and clarity of thought is shown by her choice to quit while she was ahead. I did scribble down some notes – which resurfaced some time after this blog post first appeared. 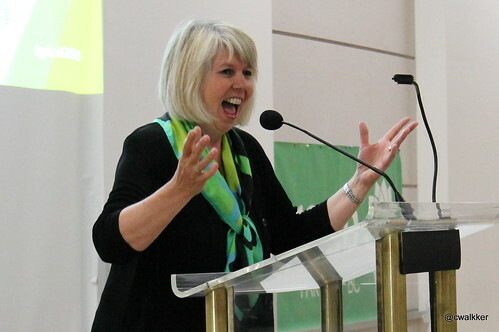 One of the things that Jane revealed is that she has at least three job applications on the go, as well as the intent to run in the next municipal election and starting a new blog (which, as soon as I see it, will go on the blogroll). One of the critical reforms she introduced was the notion that loans were not to be treated as donations – even if that is allowed under the Elections BC rules. She convinced the provincial council that the concept of cash flow was critical – donations tend to come in lumps but expenses stretch throughout the year. It is also essential to distinguish between “wants” and “needs”. We currently have only two paid full time officials (Leader and Executive Director) but what we need are 15 regional organizers. We have to view ourselves as a political party, not a protest group. That means our job is to get people elected. The objective has to be not just a few MLAs but to become the official opposition then the government. The most successful Green parties in the world are those that have created partnerships with like minded parties and co-operated with them in government. That is the way that green policies get adopted. The job now is to find ways of putting our members into positions where they can do what we propose. Andrew Weaver gave an inspiring speech. I hope that it becomes widely available as a transcript or video. It certainly deserves it. He observed that the job of a politician and a scientist ought not to be very different. There is a problem, which we recognize, search for evidence and then analyze that for its solution. Evidence based decision making is what ought to guide our political leaders. Far too often what happens is we have decision driven evidence research. And – far too often – not even that. He also described how he won his campaign and paid tribute to his team. There’s the difference, I thought. When I ran for MLA I did not have a team. Or even any real understanding of what is required of a campaign. That will now change as there is, it turns out, quite a lot of Green Party experience on how to do such things and we will get much better at running campaigns in future. For other candidates, I might add. Not me. The real difference between 2009 and 2013 was that the Green Party did not try to recruit a candidate for every riding. The intention was to concentrate resources – very much in the way that the national party had concentrated on getting Elizabeth May elected. That did give rise to some discontent. People feel they have the right to vote Green – even if that means the candidate is simply a name on a ballot. There could have been more candidates if more had volunteered, and there was some local organization to back them. But the reason that there was no Green Party name on so many ballots is that neither candidates nor local organization were in place. That should change now as a lot of effort is going into building regional organizations to galvanize Green Party support in groups of ridings. 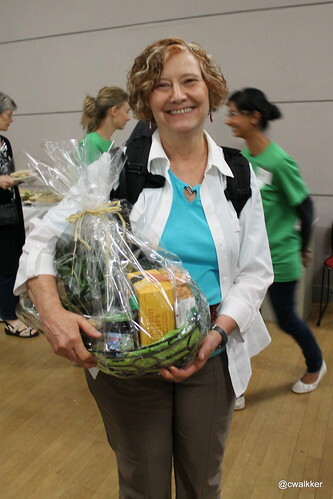 Adriane Carr was one of the founders of the provincial Green Party – and its leader on two separate occasions. 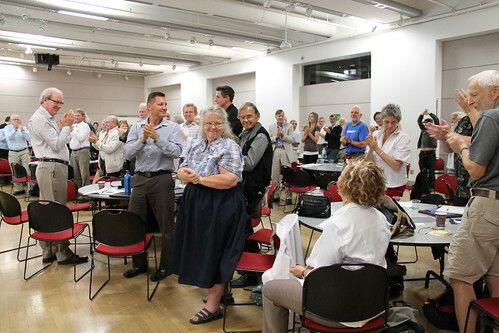 She is one of the party’s better orators, and got the room on its feet. She is also clearly enjoying her time as a Vancouver City Councillor. She had some very wise words to say about the importance of starting the campaign now: not just for next year’s municipal elections but for the next provincial and federal elections. We cannot expect to elect anyone who has only run a two week campaign. There was also a very remarkable speech by Sjeng Derkx. The Greens in general are always positive in presenting policy and election strategy. His was the first public assault I had heard on the NDP. Firstly on their dismal election record in BC, and secondly on their readiness to blame others for their own failings. The myth of vote splitting had already been very effectively dealt with by others: in ridings where there was no Green candidate running, those votes went mainly to the Liberals, not the NDP. “They haven’t had a new thought since Tommy Douglas!” got a round of applause. As it happens, I think we will do much better when we stop worrying about NDP voters, and try to get those people who do not vote at all to vote Green as we are not like the other parties. Far too often all politicians are lumped together: “they’re all the same” is a refrain heard all the time on the campaign trail as the reason for not voting. It is significant that Jane Sterk was the only party leader where the majority of those polled chose “trust” over “distrust”. Much attention should be paid to a motion – that was approved without dissent – to review Green Party “branding”. At one time the use of terms like “brand” or “marketing” would have been anathema to a grass roots party born of protests in the woods. The people now coming to the party understand what is meant by those terms, and why it is much more important to understand how voters perceive the Green Party than what we have in our policy manual. Which has always been about a lot more than just environmental issues, though you would not know that from the mainstream media. At the very least you, reader of this blog, ought to be aware of the Ten Core Principles. Andrew Weaver pointed out that the current government “plan” to expand LNG is simply not feasible. It makes no sense to “go all in and then double down” on a market that is already oversupplied and by places much better positioned to serve that demand. This is no longer the party that thinks first of lying down in front of logging trucks. Sure we object to the wasteful and damaging extraction and over exploitation of resources. But we have very good reasons for thinking that no responsible government, that claims to be the best steward of our province, could possibly deliver on the present “promises”. And we also happen to have a very much better alternative based on a locally vibrant economy. Not just “digging up BC and selling it to China” as Jane put it. I really enjoyed this meeting. Perhaps the high spot was the good natured joshing between Adam Olsen and Andrew Weaver. Which became moving when Adam presented Andrew with a traditional blanket – that Andrew was asked to put in his office at the leg. to remind him that “this family” [the Green Party of BC] is behind him to support and protect him from the inevitable storms he will have to face. I left feeling optimistic. There is hope. Things can change. Just because the BC electorate was once again fooled by advertising and slick communications, does not mean that we are on this path indefinitely. 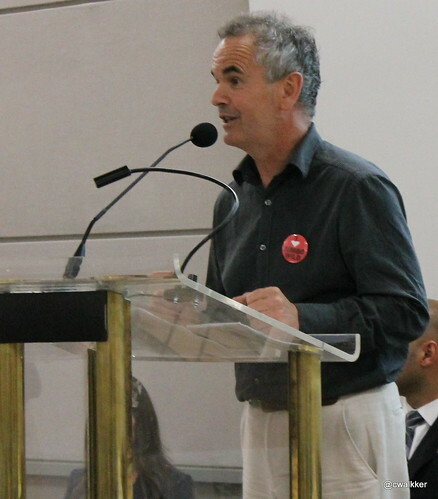 There is indeed a different way to run this province, and it does not have to be a choice between capitalism or socialism, between the economy and the environment, or between Tweedledum and Tweedledummer. We can and will do better. We must. The alternative is too awful to contemplate. Hello Stephen, the speech I ended up giving went off script from the speech I had prepared. I modified it based on the audience and the casual, upbeat nature of the AGM. I think it was videoed.